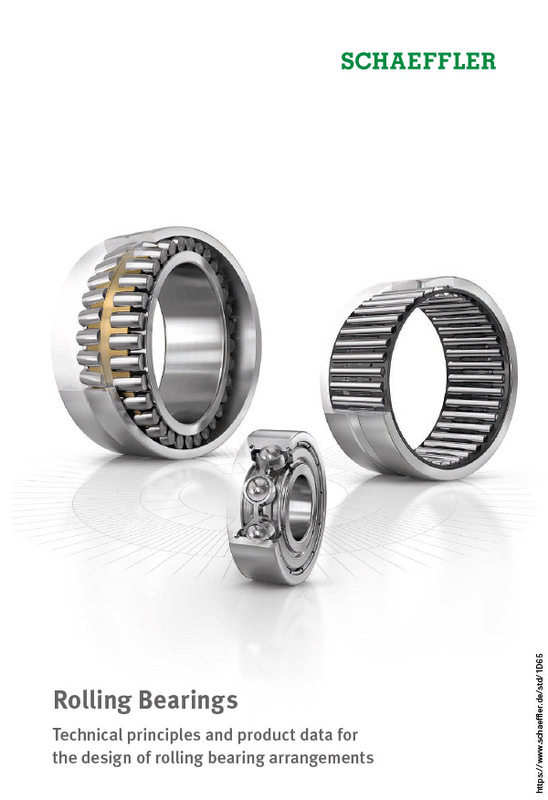 Crossed-roller bearings are bearings for high-precision applications whose dimensions conform to ISO dimension series 18 as per DIN 616. They comprise outer rings, inner rings, rolling elements and plastic spacers. The outer ring is split and is held together by three retaining rings. Due to the X arrangement of the cylindrical rollers, these bearings can support axial forces from both directions as well as radial forces, tilting moment loads and any combination of loads by means of a single bearing position. As a result, designs involving two bearing positions can be reduced to a single bearing position. 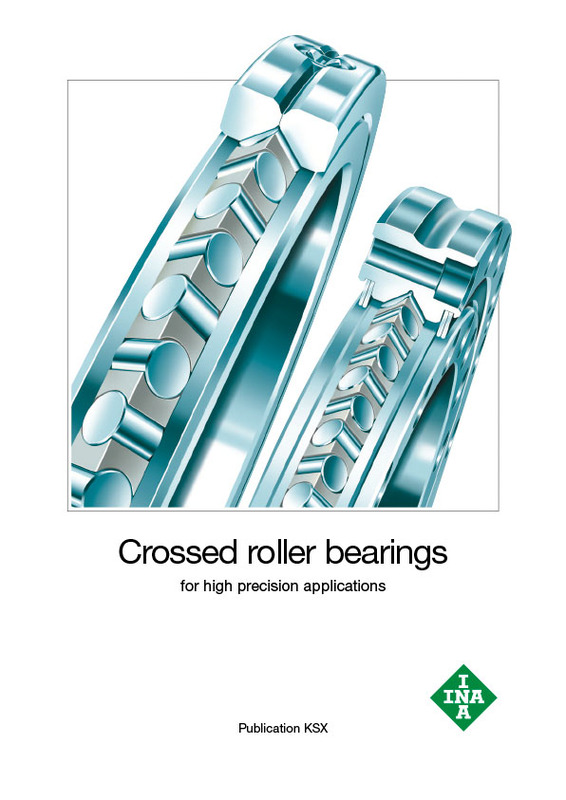 Crossed roller bearings are very rigid, have high running accuracy and are supplied with normal clearance, low clearance or preload. 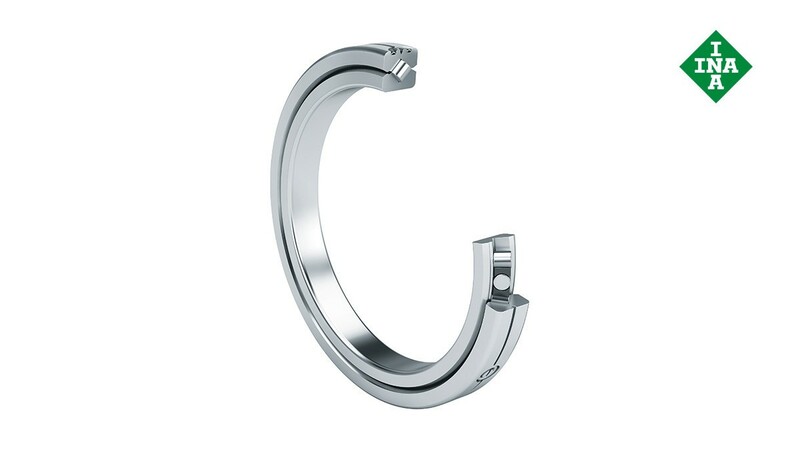 The bearing outer rings are easily fixed to the adjacent construction using clamping rings.